There are a number of fragrance oils to choose from that can add lovely scents to your soap. However, many fragrance oils can alter the color of your soap to a less appealing hue. What can be done about this? What Should You Charge for Soap? Friends and family have complimented your soap enough that you decided to open an online soap shop. You spent a pretty penny on quality ingredients and hours to make the best soap out there. So in the end, how much should you charge for your handcrafted soap? 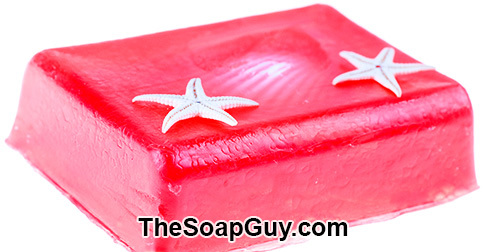 Running an online soap shop can be rewarding, but is far from easy. Making the soap you want at a high quality, interacting with customers online, and shipping out orders can be taxing. It is easy to fall short, even when you try your hardest. However, ask yourself if your “trying” is effective. Ask yourself what “trying” really looks like. Not internal struggle or stress, but what physical evidence or visible efforts can you display to prove your effort? If you can point to a pile of made soap, a list of orders, or a Facebook post with a myriad of comments, then you can rest easy to know that you tried your best and there is no need to question your work ethic. For a full article on trying, click here:: What If You Tried Really Hard? If you want to go all out for your kids this Easter, why not make an Easter basket the size of a kiddie pool? In fact, why not use a kiddie pool as an Easter basket! Just fill the pool with candy and toys while using a hula-hoop as the basket’s handle. Get a full tutorial with pictures here:: Need an Easter Basket Idea? You want to add lotions to your list of products on your online soap shops, but there’s a snag. You want to create a lotion that will last longer than your competitors and lock-in moisture on the skin and keep it hydrated. How can you make that happen and get ahead of the game? Take a look at your lotion recipe and see if you can add in a humectant like glycerin or sodium lactate while adding an occlusive ingredient in order to trap in the moisture. Some quality humectants include cocoa butter, allantoin, or dimethicone. For more suggestions on how to make your lotion more effective for longer periods of time, click here:: How to make a longer lasting lotion?